The threat of fall injuries is a commonly overlooked risk, particularly through the long Massachusetts winter months. As we recently reported, Massachusetts snow removal liability laws can hold business or property owners liable for falls or other injuries caused by the accumulation of ice or snow on public or private property. In some cases, even municipalities may be held responsible, although MGL c. 84, § 21 requires those making claims against a municipality to notify the county, city or municipality of injury or damage resulting from snow or ice within 30 days of an incident. Although winter’s wet and slippery conditions are far from the only cause of fall accidents, ice and snow do add substantial risks for New Englanders. Boston Code of Ordinances 16-12.16 contains addition information about the city’s snow-removal law. Our Boston injury lawyers know fall injuries are often discounted as frivolous claims. It’s an opinion that is heavily promoted by big box stores, commercial property owners and insurance liability carriers. But the fact is that fall injuries remain a leading cause of serious accidental injury and death in the United States each year. Our fall injury lawyers in Massachusetts know these are often complex cases. In addition to determining full extent of a client’s current injuries, your chosen law firm must also determine likelihood of future medical complications, disability, and other consequences of a serious fall. Additionally, liability insurance companies typically mount a robust defense, as such claims are among the most common and the most costly faced by insurers and corporations. Like other types of negligence claims, a Massachusetts premises liability claim requires victim show defendant owed a duty of care, breached that duty and that the breach resulted in plaintiff’s compensable injuries. In general, business and property owners owe a duty of care to keep their properties reasonably free of known dangers (or dangers which they should have known about through due diligence) that are not otherwise open and obvious. Defendants and their insurers will often argue a danger was “open and obvious,” thus negating duty to warn. They will also often argue a victim either caused or contributed to injury. Under M.S. Chapter 231 Sec. 85 victims found partially at fault are deemed to be contributorily negligence, and may have a damage award reduced by proportion of fault. A review of fatal and non-fatal injuries by the Massachusetts Bureau of Community Health and Prevention determined fall injuries accounted for more than half of hospital admissions resulting from unintentional injuries each year, compared to just 7 percent for traffic collisions. By that measure, you are eight times more likely to be hospitalized for a fall than for a traffic collision. Older Adults: Falls are the leading cause of injury among older adults in Massachusetts. This demographic is most at risk both because of decline in coordination and motor skills, and because the resulting injuries can be debilitating and disabling, leading to medical complications, slow recovery, a reduced quality of life, depression and isolation. The Massachusetts Injury Prevention and Control Program offers advice to prevent falls among older adults. Nursing home falls: While many older adults fall while living independently, falls are a leading cause of injury and death in Massachusetts nursing homes, where inadequate staffing, insufficient nutrition or medical care, over medicating and lack of physical activity all contribute to the risks. This is especially disheartening because we often choose to put a loved one in a nursing home or assisted-living facility because we hope they will be at less risk of injury. Work falls: The Occupational Safety and Health Administration reports falls are a leading cause of serious and fatal work injury each year in the United States. 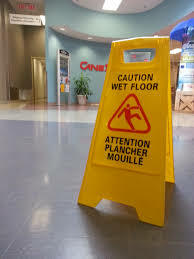 Business falls: Falls are a leading liability risk for businesses and commercial property owners. Both employees and customers are at risk. The Massachusetts Commission on Fall Prevention reported traumatic brain injuries, broken hips, loss of independence and death are some of falls’ most serious outcomes. In 2010 in Massachusetts, total acute care hospital charges associated with older adult fall-related injuries totaled approximately $630 million. The lifetime medical and work loss cost of the fall injuries among Massachusetts older adults is estimated at nearly $2 billion. The commission has identified falls as the most costly injury accident faced by older adults and continues to look for solutions as the populations continues to grow older and live longer. The Massachusetts Injury Prevention and Control Program offers advice to prevent falls among older adults. Our fall injury lawyers take a comprehensive approach to protecting our clients’ rights in these cases. By identifying all defendants and determining the full extent of a client’s economic and non-economic losses, we will be in the best position to push for a full and fair resolution, both in the negotiating room and the courtroom. Our resources and litigation experience mean we are ready to prevail over insurance defense strategies and will not settle for less than the best possible outcome for your case.